Hi Manca, this recipe was the Ottolenghi salad! 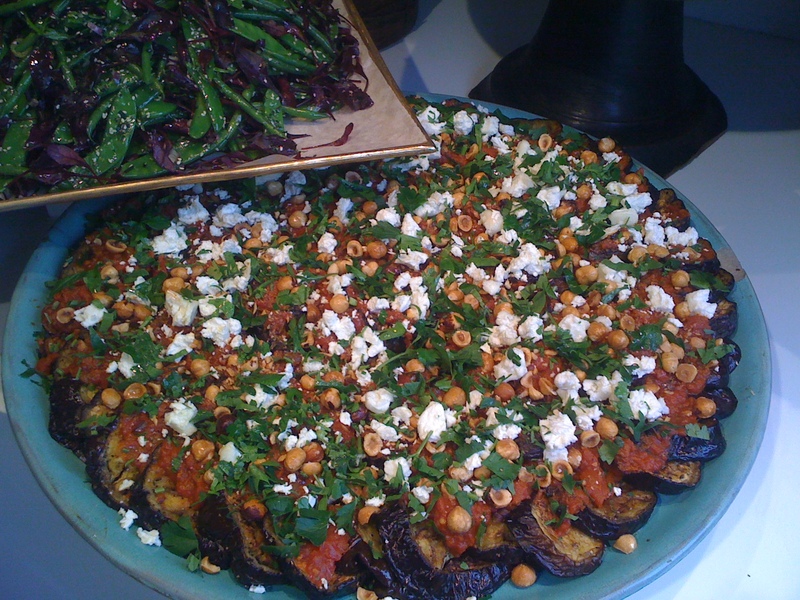 But it looks like roasted slices of aubergine, with a roasted tomato sauce (we would add some cinnamon), crumbled feta cheese, roasted hazelnuts and parsely. Give a try, good luck! you can see more of our books on http://www.oranjebloesem.nl, check Arabia & Bismilla Arabia….but…only in Dutch (till so far, but hopefully soon in English!) & http://www.arabiacafe.nl (our dutch blog).